Each year Medicare announces changes to the co-pays and deductibles associated with Medicare Parts A & Part B. At the beginning of 2017, some changes were made. The Medicare changes in 2017 for the Part A hospital inpatient deductible was $1,316 versus $1288 in 2016. Part A deductibles are “per event” deductibles, not an annual one. By per event it means that every 60-days it resets. You can go in and out of a hospital over any period of time. But once you're out of a hospital for 60-days are more you would then pay that deductible again. There are also additional copays that you will pay if your hospital stay is between 60 days to 90 days. However, if you have a Medicare supplement then you won't have to worry about the copays because almost every Medicare supplement pays that deductible and copay. The Medicare changes in 2017 for the Part B premium was $134 versus just under $122 in 2016. 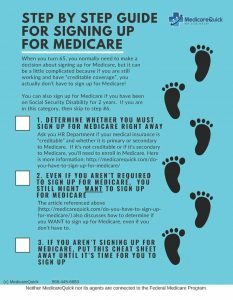 Most people just turning 65 or becoming eligible for Medicare will pay $134 per month unless they are high income earners, where they will be subject to IRMAA, or an income related adjustment. If you are subject to IRMAA, your Part D premium will actually be larger as well. In addition to the increase in your Medicare Part B premium, the Medicare Part B annual deductible also increased in 2017. In 2016 the Part B deductible was $166, and in 2017 it is $183. Unlike the Part A deductible, the Part B deductible is an annual deductible. You pay for once a year and you're done. Speaking of deductibles, let's talk about the Medigap (Medicare Supplement Insurance) High Deductible Plan This Plan has an annual deductible that is linked to the Social Security Cost-of-Living index. In 2016 the Medicare Plan F-high deductible had a $2,180 annual deductible. The Medicare changes in 2017 meant that it went up by $20.00, and is now $2,200. Next year you can expect to get a new Medicare card. The new Medicare cards will no longer have your Social Security number on them, but they will have eleven digits instead of ten. For new Medicare numbers, there will be a transition period between 4/18 when people start receiving them, and 12/31/19. During that period of time, Medicare will accept either number, which will give the doctors’ offices and carriers time to adjust. So make sure that you keep and protect that card. It will help with identity theft, but will make it more difficult for you if you lose your card. We don't know what the changes will be for 2018, but I'll keep you posted.